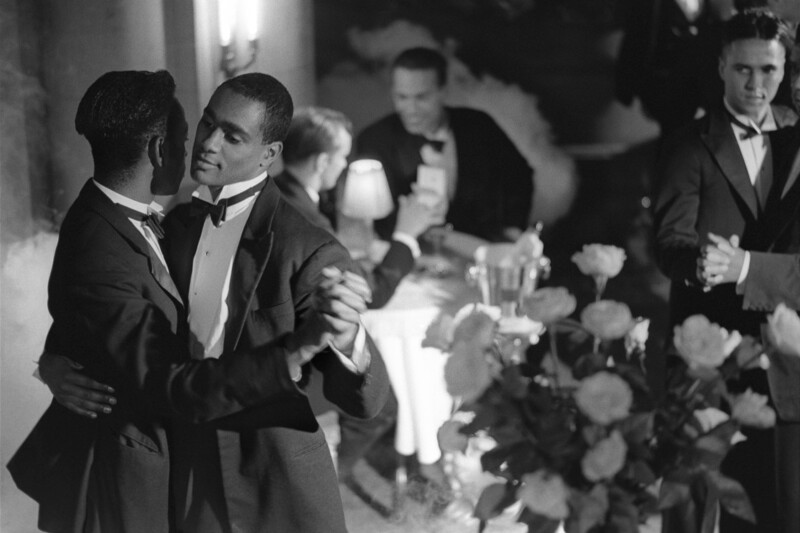 The Museum of Modern Art (MoMA) in New York will screen Isaac Julien's 1989 film Looking for Langston on October 7th and 15th. Tickets will be on sale from October 1st, 2017. The film is part of Black Intimacy, which explores the ways in which black familial, romantic, and platonic relationships have been portrayed onscreen, with a particular focus on black filmmakers' attempts at navigating between intimate, personal stories and more broadly political material. Given the legacy of American racial politics, can black love be portrayed onscreen without "making a statement" about race, or is it impossible for the personal to be separated from the political? Comprising 16 films, two shorts, and a television episode, the series highlights the various ways in which love and relationships are colored by the political, across a wide spectrum of perspectives. Several of the films-Charles Burnett's Killer of Sheep, for instance-deal with a particular kind of black male figure and pay close attention to black male identity and struggle; films like Claudine, A Warm December, and The Inkwell portray very different types of black romances and family structures to illustrate a broader scope of love and relationships; the notion of how black women are treated as love interests and how their needs are explored and honored is at the heart of Loosing Ground; and black queer identity, intimacy, and vulnerability are front and center in Looking for Langston and The Watermelon Woman. Organized by Adeze Wilford, Joint Fellow, Department of Film, MoMA, and The Studio Museum in Harlem. For more information please access this link.